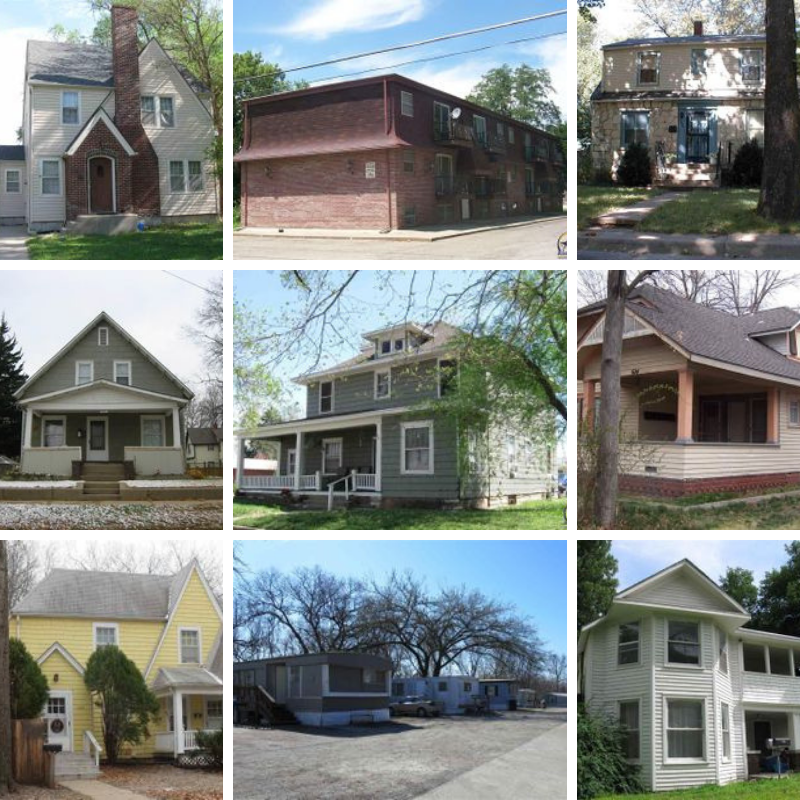 We have a large portfolio of investment properties that are available in Manhattan, KS. This is just a few. Many of the properties are just steps away from Kansas State University. Some single family homes, multi-family converted, apartment buildings, trailer parks, parking lots, land for billboards and an entire subdivision. This is a great opportunity to grow your portfolio for an in-demand area that is growing. Email our team today for a spreadsheet of information including address, pricing, rental income and highest and best use figures. Do you have a buyer looking for investments in Manhattan KS? Are you looking to grow your portfolio? Let's chat!